In my last post, we discussed the trends of bringing back the tie-dye, crochet, biker shorts and lamé that were popular in the ’60’s-90’s. I’m back this week with more trends that you will surely be seeing everywhere this spring. You will definitely want to do some shopping this season to add some of the fresh new colors and prints to your existing wardrobe. 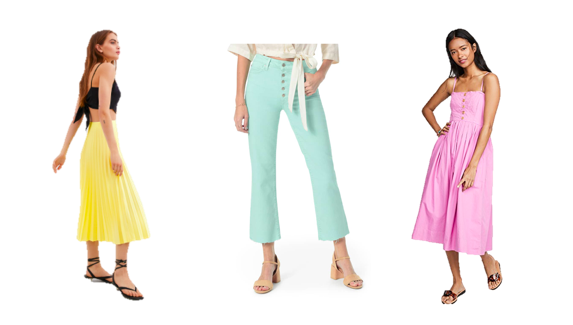 Sorbet Colors: We have a refreshing new color palette for spring with lemon, mint and pink pieces. The shades this spring are more soft and muted and in my opinion a bit easier to wear, so have fun incorporating one or all of the new colors you see. Punchy, Graphic Prints: Florals never really leave the scene, but this spring you will see bolder colors, graphic prints, and a mix of patterns all in one piece. This is a fun and creative way to freshen up maybe your more monotone fall and winter palette. 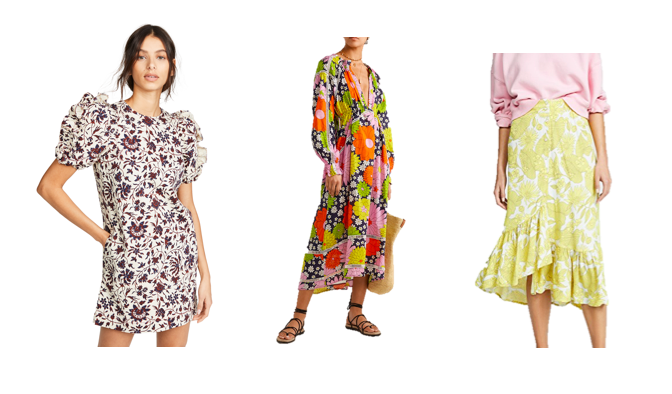 The colors and prints will pair well back to your staples, or try a fabulous dress like the ones below to be head to toe in springs freshest prints! 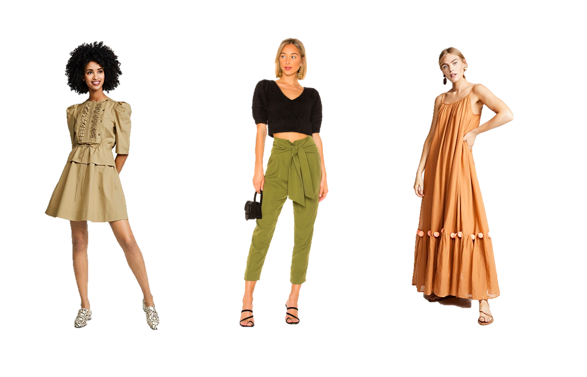 Earthy Colors: Earth tones also never go out of fashion, but it is new to see them everywhere on the scene this spring. This palette is usually used for the fall and winter collections because the tones are a bit darker and pair so nicely with the staple pieces in our wardrobes, but they will also pair very nicely with many of the new sorbet colors, and always with a fresh pair of white jeans! Crochet Accessories: We spoke about crochet clothing in my last blog, but we are seeing this trend in shoes and bags as well. These accessories will add a fun element to your outfit. Strappy Sandals: Strappy low heeled sandals are shown with everything this spring. I for one am so happy! I have always loved a kitten heel, but they don’t always seem right with everything. However, this spring they can take you from day to night without ever missing a fashionable beat. Try a fun color here. Since it is a strappy sandal, it will not overwhelm your foot or your outfit. I promise your feet will thank you!